Make no mistake. Your identity is found in Me – in My Name. I Am the Prince of Peace, the Everlasting Father and the Spirit of Truth. That is your legacy. Show the world who and whose you are. Love. Forgive. Serve. On my dad’s 60th birthday, I took him to Gibson, Louisiana, to the famous ambush site of Bonnie & Clyde. That’s where the great warrior Frank Hamer, a Texas Ranger, ambushed this murderous duo and ended their reign of terror in this part of the world. We not only saw a reenactment of the ambush, we discovered a Kingdom lesson on the importance of a family name I will never forget. While many of Hamer’s descendants were there, so were the descendants and kin of Bonnie and Clyde. As we listened to the descendants of Clyde Barrow talk, my heart broke. It really did. Their lives were hell. While living in Dallas, people found out their name was “Barrow” and they were persecuted unbelievably. They couldn’t go to school because the principal would throw them out. If they got pulled over, they’d say they didn’t have a driver’s license, because if the police saw their name was Barrow, they’d go through more terrible persecution. These innocent people and their children went through hell because of their family name. Just exactly like that, I ran into a descendant of Davy Crockett at the Alamo. Because he was a descendant of Davy Crockett, another one of my huge, monster, heroes – this man is a man of God, a man of peace, he’s highly educated, he’s awesome. 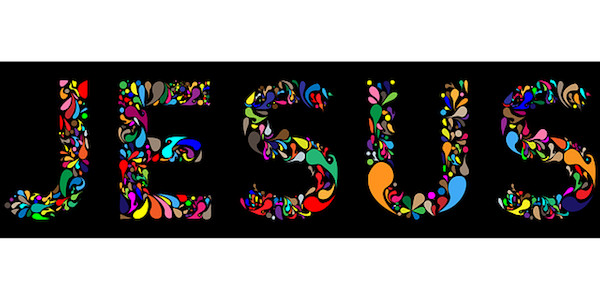 He feels a tremendous responsibility in living an exemplary life because of the name that he carries. Isn’t it funny, and even sad, how much a name can affect you? It’s the same with God. We call ourselves Christ-ians, but would Christ talk and act like we do? Would Jesus put Himself first or ignore the needs of the helpless by sitting on the couch and watching NASCAR or the Kardashians? No. He had the Father’s family name to demonstrate and so do you and I. We bear the Name above all Names. Let’s show the family resemblance.